Seeing the outdoors while indoors, seeing through machines, seeing the machine seeing, seeing the limitations of the machine, seeing that as beautiful. 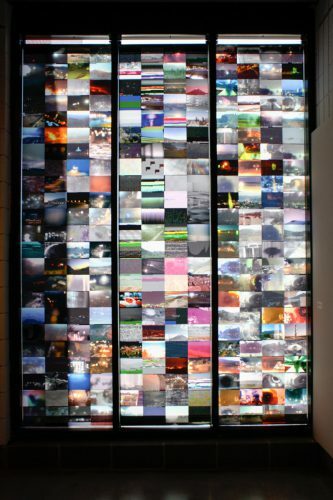 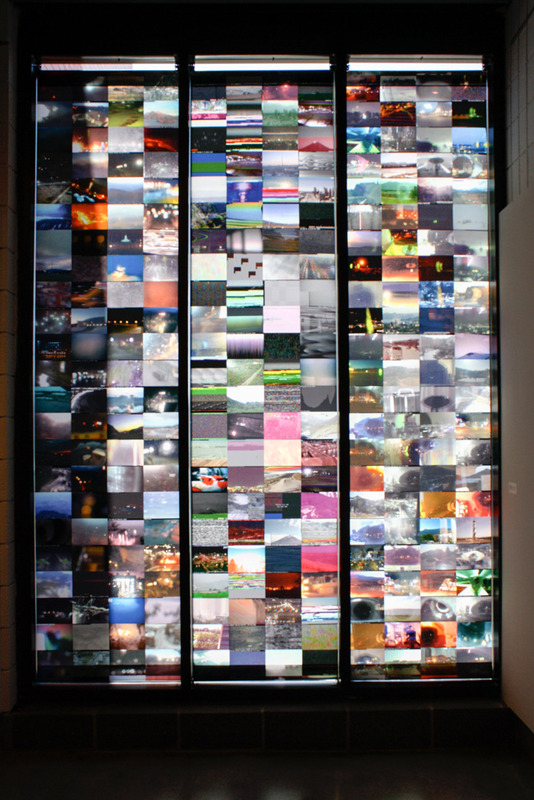 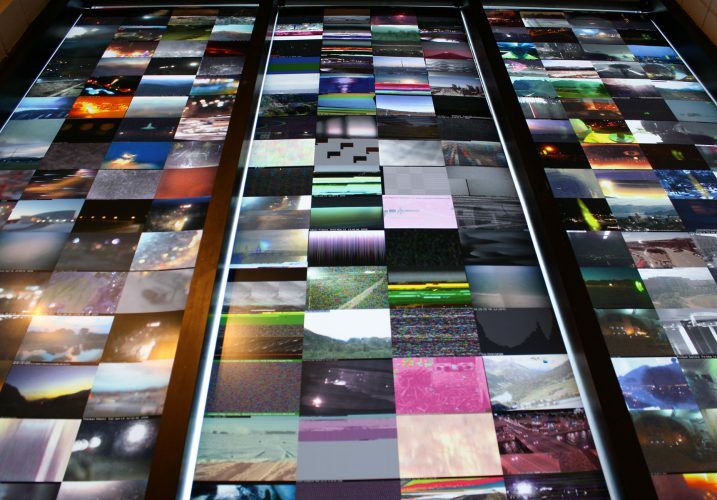 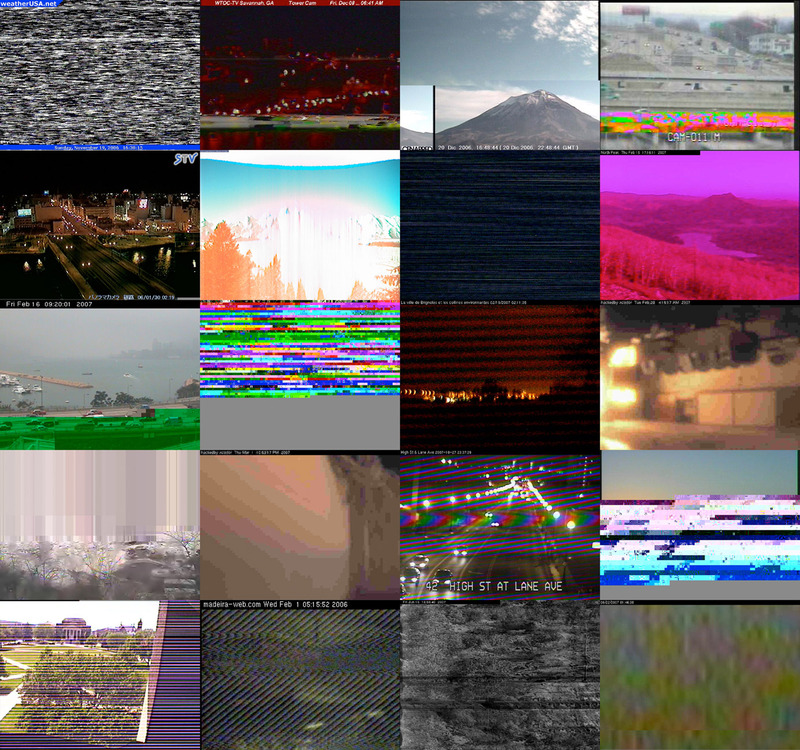 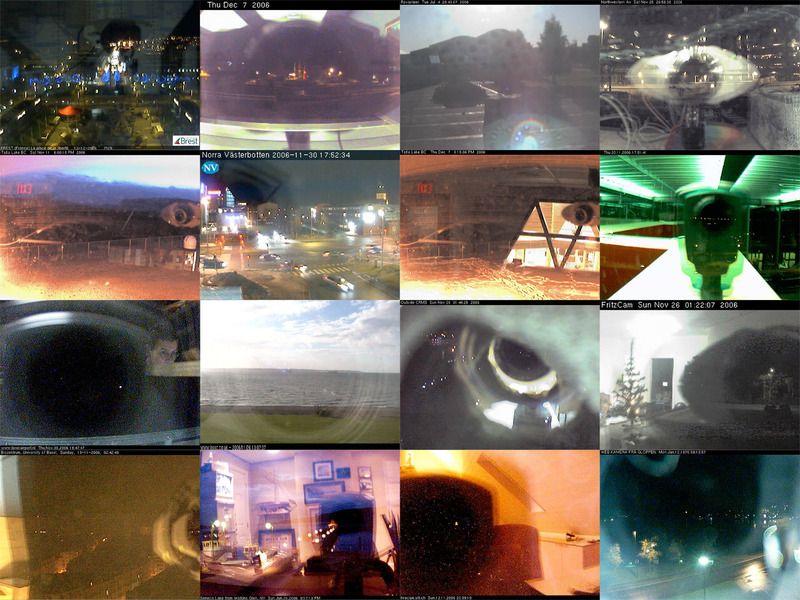 I have been collecting images from public landscape webcams since 2005. My focus is on the mistakes, artifacts and faults with the camera system, rather than the outdoor scene meant to be displayed to internet viewers. 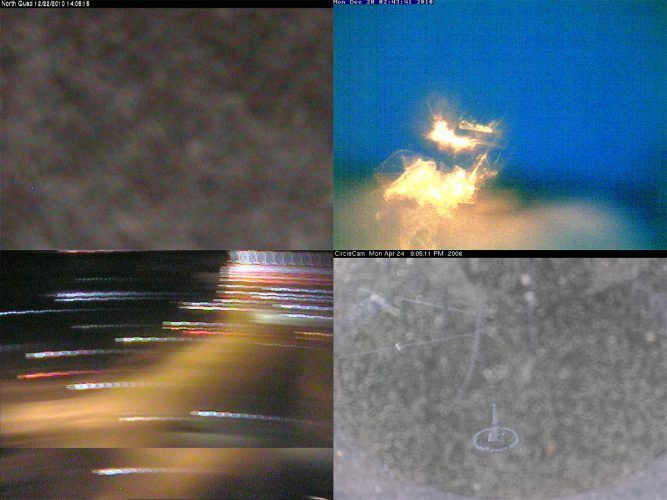 As the camera struggles to image a scene that includes the bright afternoon sun, or reflections on the window it points out of, or electrical interference, interesting artifacts are revealed. 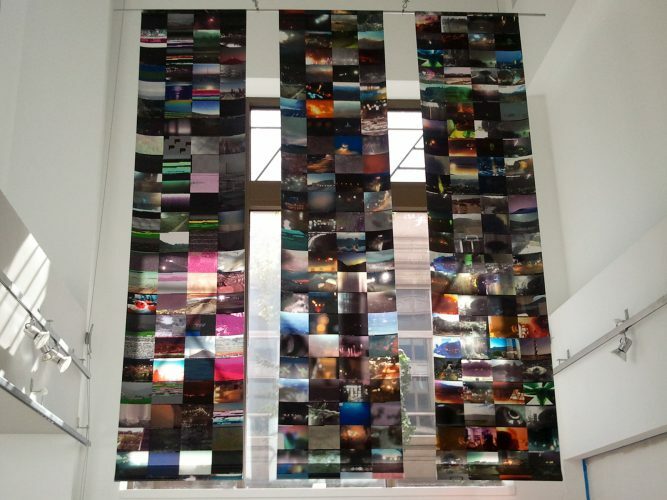 The resulting landscapes include sublime pixel streaks, soft-focus abstractions, mirror images of the camera, light flares and other mysterious effects. 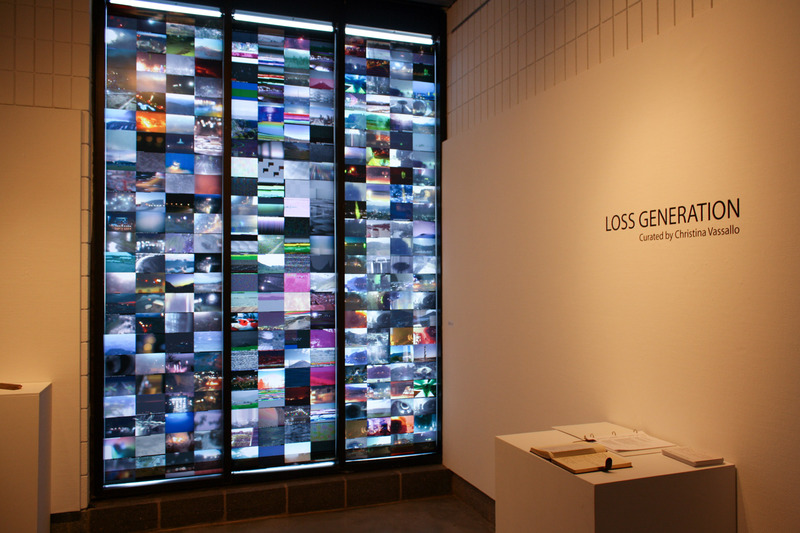 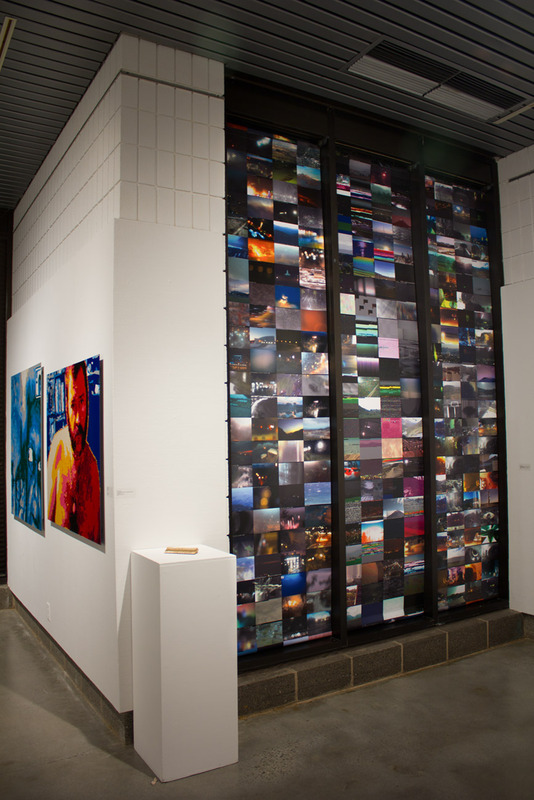 This installation includes a sampling of my collection, organized into 3 categories of artifacts: Glitches, Blurs and Internal Reflections.